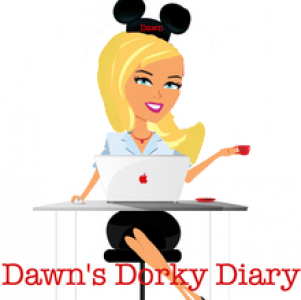 Nov. 2006, The Price is Right, with BOB BARKER – Travel, Family & Fun rolled into one! Ever since I was little, I watched the Price is Right with my mom & siblings. Most of those days I would make a tent that encompassed the tv with my parents big yellow blankets. We would sit underneath and enjoy our favorite game show & most of all my favorite game show host, “BOB BARKER” I loved everything about him and vowed one day I would go on the PIR (bucket list). 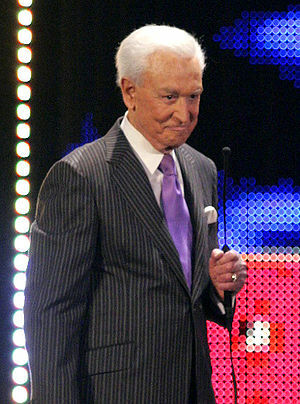 Well 2006 rolled around and I heard that Bob Barker was set to retire at the end of 2007, so I knew what I had to do. I booked a trip for my sister and I to California. I did all my research, we stayed at the hotel across the street from CBS studio’s named Farmers daughter, an adorable boutique hotel. This hotel every evening at eight has a class on how to get selected “randomly” for the stage, so of course we participated. Then about 11pm that night we went outside CBS television studio’s and I started the line that would end up around building by morning. Usually the first person in line gets selected for the stage, since obviously they are a huge fan to wait outside for so long. Just to let you know, I’m not one of those people whose ever waited in concert lines for tickets, I really never went to many concerts. I just really wanted to be on PIR & have a great seat to see my idol. We had a blast playing games & getting to know all our new buddies, we were bonding and a lot of people at the end of line would walk up to the front just to meet me, because I was a shoe in to go on stage, I felt famous, like the most popular person there.Well around 5am I was really tired and I’m a die hard coffee drinker, two cups every morning or I’m a goner. My sister and our new line BFF’s were going across street to grab coffee & donuts, I chose NOT to get anything–(was I delirious from lack of sleep) BIG MISTAKE. Around 7am they gave out numbers to everyone in line for first & second shows. We were able to leave and come back two hours before our taping. 1pm happened and I sat in the #1 seat right in front of Bob Barkers famous microphone holder, which I kiss touched on my way in, just so I could say I kissed it. The room with its famous 1970’s striped curtains and stage seemed much smaller than it appeared on tv. If there was ever a use for the word SURREAL it was then. The ultimate happened before my eyes, Bob Barker walked out on stage. I gave a standing ovation. I watched in a dream like state, probably because I wished I was asleep. I did not get called up, SURPRISE, but I was able to ask the question to Bob I always wanted to ask. At commercial breaks he talks to audience, about spay and neuter pets, retirement and questions from audience. It was my chance, my time, my life long dream coming true: I asked Mr Barker “Can I come on stage and kiss you on both cheeks?” for those few seconds I had my idols ears listening to my words & his eyes looking at mine. His reply was one I would like to forget “I’m sorry, you can’t, I’ve been sued for stuff like that in the past!” (Barker Beauties lawsuit, I guess) I was so bummed, I almost wish I never asked, but then I would have had regret, and that would have been worse. Overall experience fun, we toured Venice beach, Santa Monica beach, taping of Reba, explored Hollywood’s Walk of Fame, the Grove. Most importantly, I accomplished a life long dream, to meet & speak to my idol Mr. Bob Barker.